"You could be creating thousands of immigrant orphans in the U.S.," said ex-Acting Director John Sandweg. 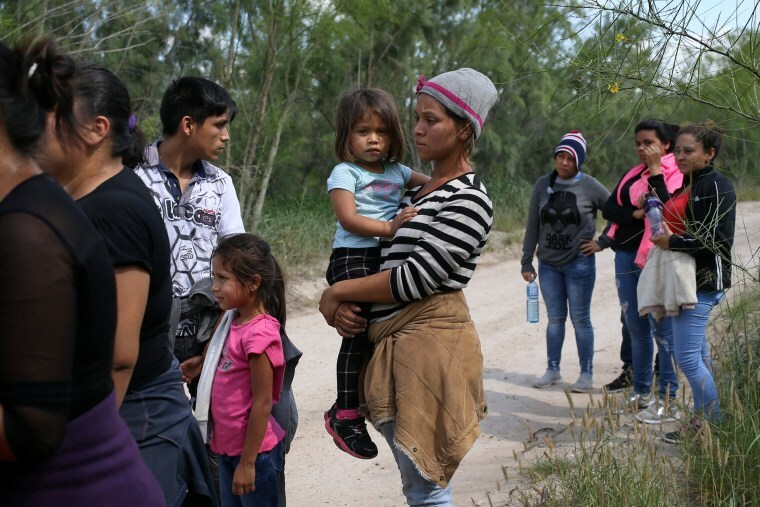 WASHINGTON — The former head of U.S. Immigration and Customs Enforcement told NBC News that migrant parents separated from their children at the border are sometimes unable to relocate their child and remain permanently separated. Sandweg's warning contradicts White House messaging that the separation of women and children migrants under the Trump administration's "zero tolerance" policy is only temporary. While a parent can quickly move from detention to deportation, a child's case for asylum or deportation may not be heard by a judge for several years because deporting a child is a lower priority for the courts, Sandweg explained. "You could easily end up in a situation where the gap between a parent's deportation and a child's deportation is years," Sandweg said. As a result, parents may find themselves back in their home countries struggling to find their children. Many do not have access to legal counsel or understand the U.S. immigration or judicial systems. Children who stay in the foster system for lengthy periods of time may become wards of the state and finally adopted. "You could be creating thousands of immigrant orphans in the U.S. that one day could become eligible for citizenship when they are adopted," Sandweg explained. That scenario could be hard to swallow for immigration hardliners who argue against spending welfare dollars on immigrants and are opposed to a path to citizenship for children brought into the country illegally. Sandweg says he has seen permanent separation happen when a parent is deported without his or her child. "This is why family unity was critical for us. With the numbers of families crossing ticking up, [the] Obama administration was concerned about children being left behind," said Sandweg. Speaking on Fox News Tuesday, White House Director of Strategic Communications Mercedes Schlapp insisted the separations were short term. "We have come to understand that these families who are separated, it is for a limited period of time between five to ten days," Schlapp said. But already, immigration lawyers in the U.S. and Central America say many parent immigrants who have been deported are having a hard time locating their children. The Trump administration's "zero tolerance" policy was announced in April. Parents are given a paper slip written in English and Spanish that explains they have been charged with a crime for entering the United States illegally and will be separated from their child while they await their court hearing. "For assistance in locating your child(ren), you may contact the Office of Refugee Resettlement," the slip says, giving a 1-800 number. NBC News called the number and heard a recording that allows the caller to be connected with a case manager regarding his or her child. In response to Sandweg's allegations about permanent and extended separations, ICE spokeswoman Liz Johnson said, "A parent who is ordered removed may request that his or her minor child accompany them. If the parent chooses to have his or her child accompany him or her, ICE accommodates, to the extent practicable, the parent’s efforts to make provisions for their children."